A “fly on the wall” b-roll assignment becomes a powerful messaging platform and a highly popular training mini-documentary. Jon Jones was a controversial choice as a Nike athlete. He had charisma and obvious athletic ability but the Nike Pro Training audience was more familiar with Football, Basketball, Baseball, Soccer and Track than MMA and the UFC. 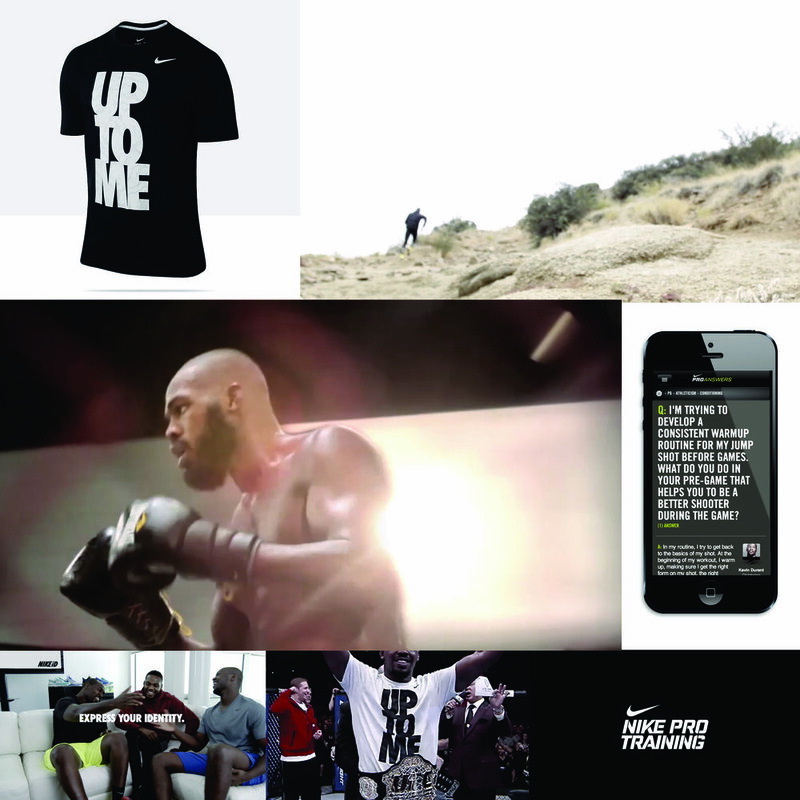 By tapping into the universality of Jon Jones’ mental and physical work ethic we transcended the discomfort of both internal and external audiences and helped make a truly unique athlete resonate with Nike’s training community, earning more views than any other video on the Nike community site (over 100,000). And in the process created the tagline “Up to me” which now emblazons Nike t-shirts worn by Lebron James and other athletes in more mainstream sports.